Despite all the controversy, is BP a good stock idea? British Petroleum (NYSE:BP) is a stock idea I’ve been looking at lately. So I wanted to share a part of my analysis with you. I’ll give you a quick overview of my fundamental thesis. And then I’ll share some charts with you so you can see the thought around my buying and selling plans. Does that sound okay? BP’s stock is trading at a huge discount to peers like XOM and CVX on practically every valuation metric. Arguably, money managers are paying a significant premium for the safety of these bigger oil giants. The stock has been dead money since the disastrous spill, but litigation is coming to an end and the company might be on the verge of turning over a new leaf. But there’s something else you should keep in mind. BP has a book value in the low $40s. These are hard assets that will continue to generate cash, so there is somewhat of a floor in the price of the stock. 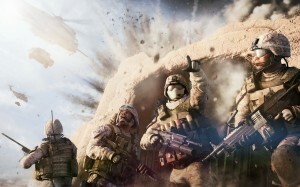 BP is also winning contracts in the Middle East and Asia. You might also argue the price of oil has been relatively subdued in 2013… (especially considering all the QE! )… Thus materials might be a significant theme going into 2014 and BP could be a profitable way to play the upside. Not only do you get possible capital appreciation from earnings growth and oil prices but, the company pays a high dividend yielding about 5%. That’s not a bad proposition, is it? Seth Klarman’s Baupost Group also has a sizable position in BP. They’ve reduced their holdings a little bit, but still hold 5.5M shares. I don’t usually pay too much attention to what other traders are doing. But Seth Klarman’s Margin of Safety Philosophy is one I am particularly interested in. On that note, if you invest with the Graham Number, you get a price target of BP for somewhere north of $70. BP is also becoming more aggressive in pursuing fictitious lawsuits. To be sure, BP should be held accountable for all of the liabilities of their oil spill. But as a shareholder (the cold truth is) it is nice to see management flexing their muscles for you. 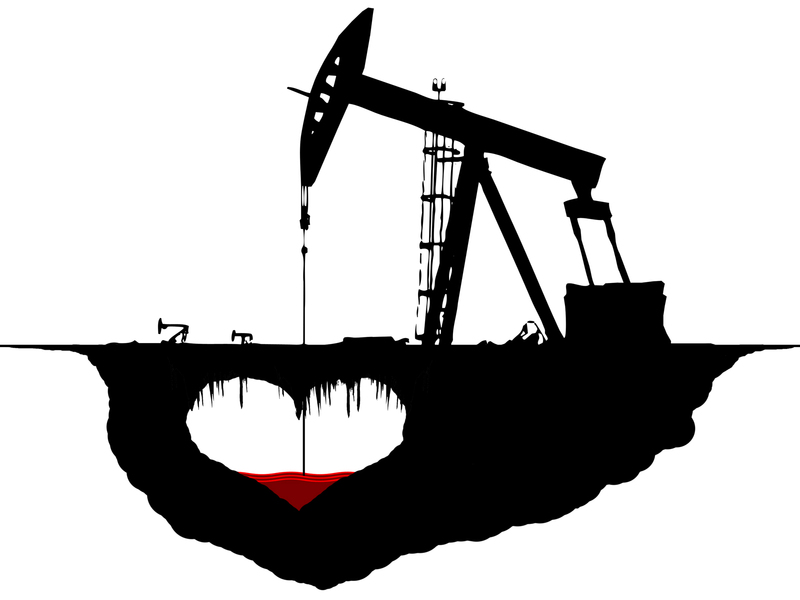 Another reason I’m interested in BP is because I need some exposure to the energy/commodity/oil space. A lot of my portfolio is focused on financial service companies right now and BP provides a relatively safe play in energy markets where I lack exposure. 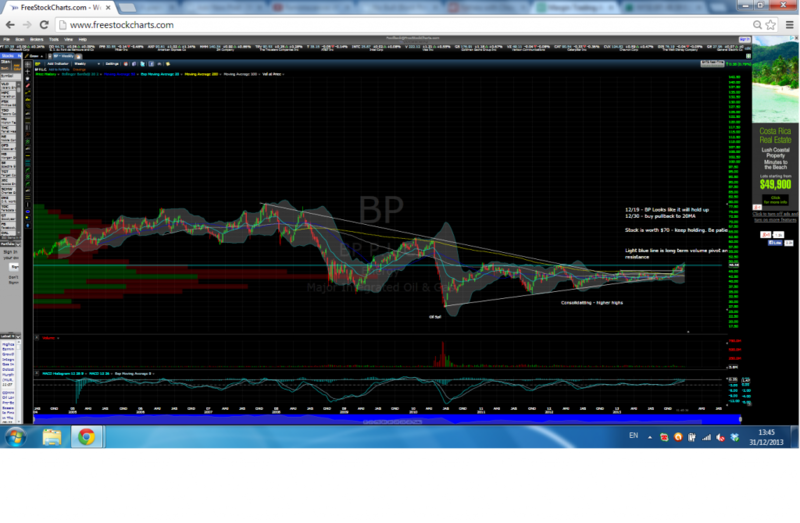 Below is a Long Term Weekly chart of BP. You’ll notice that the stock has been trading in a relatively low range for the past few years. More recently, the trading range has tightened up and the stock might be breaking out of the consolidation pattern. BP Long term technical picture might indicate a large base to jump higher from (click to enlarge). While the long term chart pattern analysis for BP is encouraging, the short term technical analysis is also looking increasingly promising. You’ll notice the strong buy volume on the chart below. It looks like large buyers are supporting the price as it slowly gaps higher from the long term consolidation pattern. In the short term, buy volume seems to support a BP breakout to areas of low overhead resistance. Another interesting feature is the blue horizontal line on the above BP daily chart. This represents long term resistance (also seen on the weekly chart) – and there is something of a “volume vacuum” above that price area. 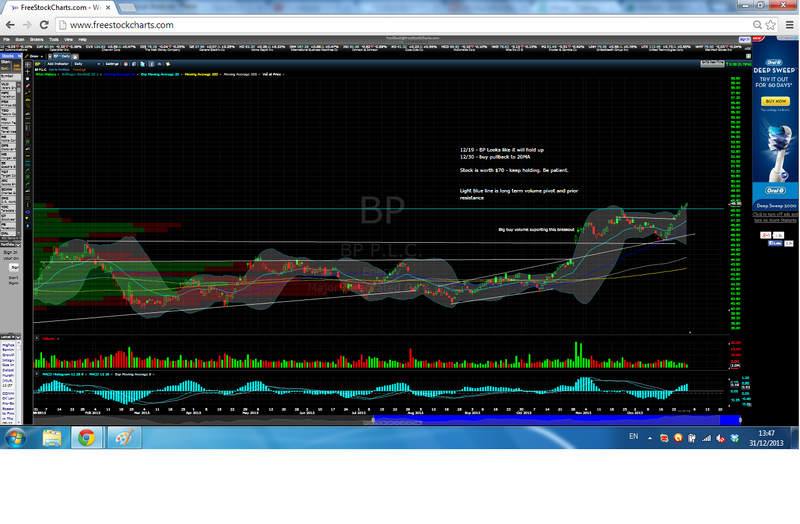 This could indicate a quick move higher for BP in January 2013 if the stock keeps pushing higher. Of course BP is riding the upper Bollinger band so it’s a little tough to chase at this point. For Full Disclosure: I am long BP from just over $46 and am looking to buy any pullback. Please do your own research as this analysis is for educational purposes and is not intended as a recommendation to buy or sell BP stock. And By The Way: If you’re still looking for more stock ideas I encourage you to sign up using the email form below. You’ll get free exclusive-email-only stock ideas and analysis not seen anywhere else. Why not give it a try? This entry was posted in Stock Ideas and tagged BP analysis, stock analysis on December 31, 2013 by Jworthy. 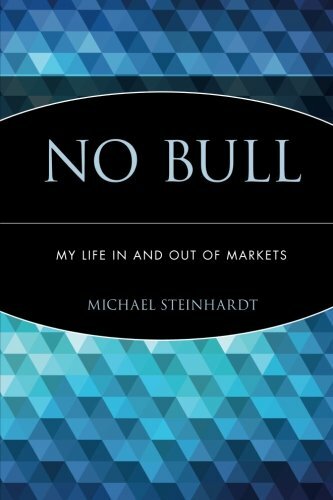 No Bull by Michael Steinhardt is an autobiographical account of his “life in and out of markets.” So what should you expect? No Bull details the rise of Steinhardt Partners, an incredibly successful hedge fund with billions of dollars under management. Michael Steinhardt is the chief investment officer and ultimate trading decision maker at his enormously profitable firm. Not only did he pioneer the hedge fund industry, but Steinhardt is also one of the founders of Birthright Israel – one of his many philanthropic ventures. Impressive, right? No Bull gives an insightful account into how Michael Steinhardt ran such a successful stock trading firm. But it also goes much further and describes the personal and cultural influences that shaped the life and philosophies of Steinhardt. Overall, the book does a great job profiling the life of one of Wall Street’s most successful traders. Since I just finished reading No Bull, In this book review I’ll give you a quick overview of what I liked most about the book and what you might not like about it. No Bull first came up on my radar when I was reading Market Wizards. Jack Schwager’s interview mentioned the book by Steinhardt. I immediately ordered it. And I’m glad I did. No Bull is an excellent read that shows you exactly how to climb to the top of the Wall Street ladder. No Bull starts out with some background on Michael Steinhardt and the circumstances under which he grew up. 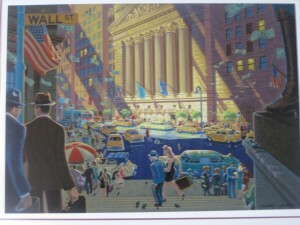 No Bull shows the lucky turn that got him into business school, and it shows you how he first became interested in the stock market. From there, No Bull gives a very clear look at how Steinhardt developed his trading strategy – and what he thinks it takes to be an ultra-successful stock trader. While No Bull is peppered with information about how Steinhardt makes money in the stock market, this one chapter goes into a lot of detail about how Steinhardt consistently beats the other money managers on Wall Street. At one point in the book, Steinhardt breaks down his investment thesis into four simple and easy to read points. This makes it easy to get a lifetime of investing wisdom in a couple digestible bites. That sounds pretty good right? No Bull is filled with insight but this chapter dedicated to explaining how Steinhardt came up with his trading philosophy, stands head and shoulders above the rest. I loved how he consistently grinds out trading gains and his gritty determination to extract profits regularly. No Bull really helps you understand the tips and tricks a top money manager used successfully to pad his returns and improve performance for his investors year after year. 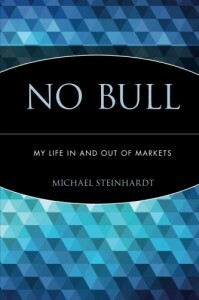 No Bull, more than other stock trading biographies, focuses on the personal life of the author and protagonist. While I found this comprehensive view of the author very interesting, others might not. So if you’re looking for a book on specific trading techniques or a book that focuses only on trading ideas then you should be warned No Bull has a few chapters about personal and life events. To be sure, I found the personal insights very interesting. No Bull definitely helps remind you that there is more to life than just trading the stock market. While it’s invigorating to find and analyze your own stock ideas, you need to find other outlets for passion and happiness, even if you have billions of dollars. No bull! No Bull is an exciting read that details the rise of Steinhardt Partners. The book gives an entertaining and easy to read look at how one of the most successful traders in Wall Street history developed his trading strategy and ran an immensely successful hedge fund. For those reasons I’m happy to recommend you buy No Bull on Amazon right now. There are a couple of very actionable ideas that made this book a very worthwhile investment for me. This entry was posted in Stock Ideas and tagged investment book reviews, no bull on December 31, 2013 by Jworthy. Using stock charts for technical analysis is incredibly easy to get started with. And in this short blog post we’ll take a look at some of the best free online tools you can use to improve your stock trading with stock chart technical analysis. 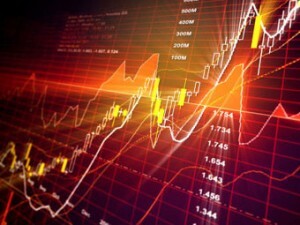 Free stock chart technical analysis is available online, and it’s easy to use. We’re very lucky today with all these great online tools. Any investor interested in getting stock market quotes can just fire up some free stock charting tools. My favourite tools for free stock chart technical analysis online can be found at http://freestockcharts.com. This website is the most robust online stock charting tool. Another useful website for stock chart technical analysis is stockcharts.com. StockCharts.com has a huge variety of technical indicators that you can overlay onto charts of any stocks. 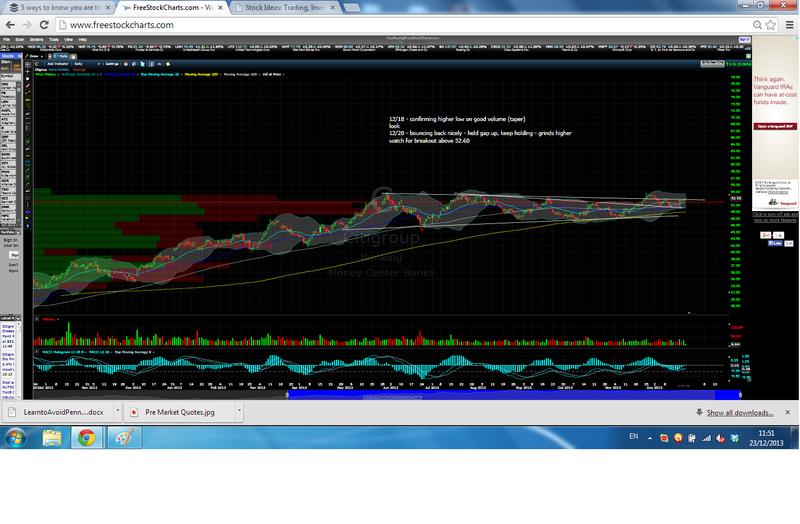 And if you’re just getting started with your stock chart technical analysis you can check out their Chart School. It’s another great free resource to help you harvest the advantage of using stock chart technical analysis online. Check out how I use stock charts for trading ideas. You’ll see that (by making a free account at the website above), you can annotate your charts and leave notes. This makes it really easy to get oriented with your analysis of that given stock. Do you see how that makes it easy to always know where you stand with your stocks? Stock Chart Technical Analysis videos can really help you take advantage of stock charts in your trading. For that reason, I really strongly recommend you check out the best technical analysis trading videos. These can go a long way to really helping you see stock chart technical analysis in action, cool? And By The Way: If you want to learn more about how I use stock charting to improve my trading returns, sign up using the form below. I’ll send you a free copy of my mini-ebook which goes into more detail on how I use stock charts and technical analysis to improve my long term investments. What do you have to lose? This entry was posted in Stock Ideas and tagged stock chart technical analysis on December 31, 2013 by Jworthy. Since I’m traveling around visiting family for the holidays, I needed to have my stock chart trading ideas easily accessible. And unfortunately the stock trading notes I keep on charts are linked on one computer at home. To get access on my Macbook as I travel across Ontario I’ll upload my stock chart trading ideas below. You can see how I use stock chart’s to keep track of my trading ideas, as well as manage my buying and selling of common stocks. While these charts below are strictly for managing my personal stock trading ideas, you might find them useful in learning how to organize your own stock chart trading ideas. And if you want to learn more about the stocks mentioned below, check out my December 2013 Stock Ideas for a little more analysis of the stock ideas below. Click on any of the charts below to enlarge. AEG is a great insurance company that might make for a good stock trading idea. BP is an under-appreciated stock trading idea. SNV is a regional bank that is one of my favourite stock ideas. 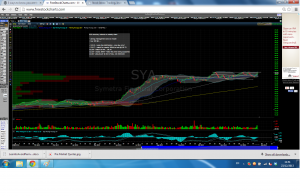 SYA is a stock chart that might be worth looking at if you need a trade idea. This entry was posted in Stock Ideas and tagged stock chart trading ideas on December 26, 2013 by Jworthy. If you want to learn how To make a million dollars an hour, then this book is definitely worth a read. It’s a fun book that can help bring the financially-minded back down to earth. And since I’ve just finished reading How To Make a Million Dollars an Hour I’m happy to share my thoughts in this book review so you can see if How To Make a Million Dollars an Hour is the right book for you. How to Make a Million Dollars an Hour is a great book because it takes a cold hard look at how the top tier of the financial industry works. It reveals the tips and tricks the top hedge fund managers use to earn copious returns. So if you’re curious to learn more about how hedge fund managers are able to make so much money then you will really like How To Make a Million Dollars an Hour. How To Make a Million Dollars an Hour starts off by showing exactly how much money the top hedge fund managers have recently made. The book also compares the incomes of hedge fund managers to film directors, professional athletes and other celebrities. The difference is astounding: hedge fund managers make WAY more money than even the top Fortune 500 CEOs. And since the book was published after the financial-crisis, the analysis of hedge fund manager income is even more pertinent. 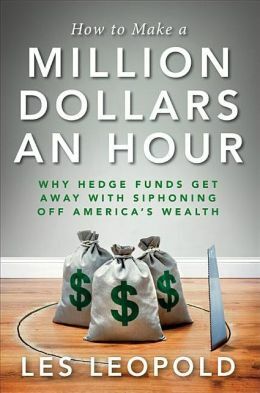 How To Make a Million Dollars an Hour goes beyond how hedge fund managers make so much money, it also spends a lot of time discussing the economic (and social) value of hedge funds. This is the part of Leopold’s book that I found especially interesting. How to Make a Million Dollars an Hour does a great job showing the (sometimes illegal) tricks of the trade that hedge fund managers use to make an incredible amount of money. But for me the best part of the book wasn’t just talking about how the hedge fund managers make millions of dollars each day, it was the discussion of the economic and societal value the hedge fund industry creates (or, more accurately, destroys). As a fledgling investor, I’m interested in understanding the impact of my actions. And while I don’t aspire to be hedge fund manager in the truest sense of the word, I do want to manage more and more money in my portfolio. And I often wonder about the impacts of my investing actions, as well as the economic value high frequency traders actually bring to the world. So I was very happy to see that this is something How To Make a Million Dollars an Hour focuses on in detail. How To Make a Million Dollars an Hour really makes you think about whether or not hedge funds, and the financial services industry in general are doing good for society and humanity as a whole. To be sure, there is a ton of value in efficient capital markets. But How To Make a Million Dollars an Hour shows why there is diminishing and even negative returns when the deregulation of financial services is taken too far. This stark look at hedge fund managers and the economic and societal impacts of their egregious incomes was an eye-opening perspective that I enjoyed. How To Make a Million Dollars an Hour has given me a lot of food for thought that I’m sure I’ll reflect on for many years after reading this book. But while How To Make a Million Dollars an Hour was an enjoyable read, it might not be for everyone. How To Make a Million Dollars an Hour is an entertaining and enjoyable read. 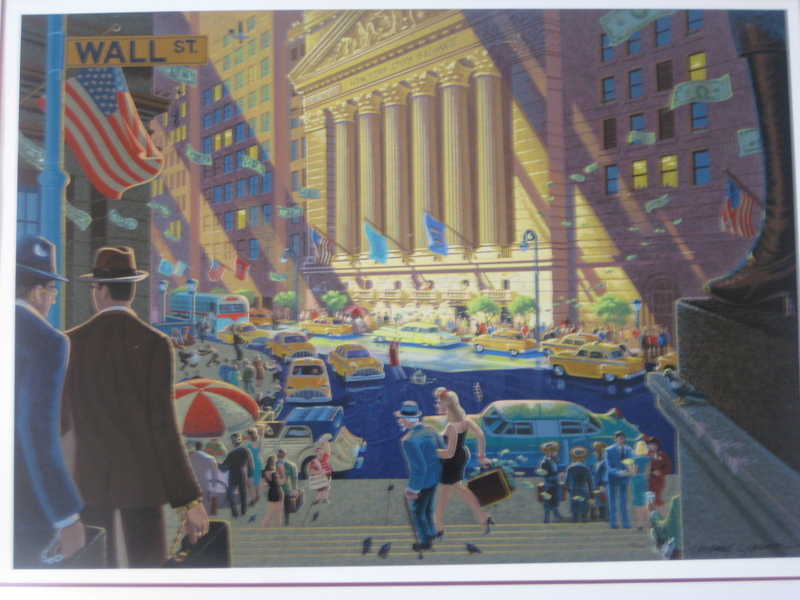 It gives a lot of great insight into how the financial industry works. That’s why I can recommend you buy How to Make a Million Dollars an Hour on Amazon . And even if you only have a cursory interest in the financial system this book provides a very great summary. This entry was posted in Stock Ideas and tagged investment book reviews, make a million dollars an hour on December 23, 2013 by Jworthy. How Do You Find Companies That Go Public? Knowing where to find recent and upcoming IPOs can give you the newest investment and trading opportunities on the market. So how do you find companies that are going public? In this short blog post I’ll show you my favourite place to get information on companies that have just gone public, as well as upcoming IPOs. You’ll be able to see all the new stock tickers coming onto the market, how many shares are on offer and what price they’ll be for sale at. So keep reading to learn how you can find all the information you need on companies that go public. The best place online to find companies that go public is the Nasdaq.com IPO Page. The Nasdaq IPO activity page is the best place to find new public companies because it gives you all the information you need, it’s free and the information is well organized. The Nasdaq IPO activity page is organized into companies that have gone public and are scheduled to go public. You can get all of the filings for the companies going public, and even companies that have withdrawn their IPOs. This makes it really easy to find information on companies at different stages of going public. In addition to having the name of the company that is going public, the Nasdaq IPO activity page contains the stock symbol of the new shares, the exchange it is listed on and the IPO price. You can also see the date of the IPO and the number of shares that are being offered. This way you can easily see exactly how much capital a company that’s going public is intending on raising. By now it should be clear that finding information on companies that go public is actually pretty easy. So what IPO’s are catching your eye these days? Do you see any great trading opportunities? And By The Way: If you find yourself still hungry for stock ideas, then sign up using the free form below and get exclusive email only analysis and updates on stock trading ideas of public companies. Sound good? 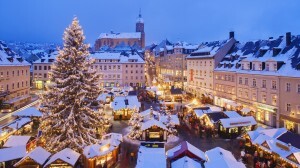 This entry was posted in Stock Ideas and tagged how to find companies that go public on December 21, 2013 by Jworthy. Pre Market Quotes help you understand where the stock market is going – before it opens…. In this short blog post you’ll learn the best place to find pre market quotes online. I’ll also share my favorite place to look at stock index futures and the best mobile app you can use for getting pre market quotes on your phone. The best place to get pre market quotes and stock market futures information is from FinViz Futures. Not only does FinViz give you pre market quotes for stock indexes and currencies, it also gives you pre market quotes for commodities, bonds and precious metals. 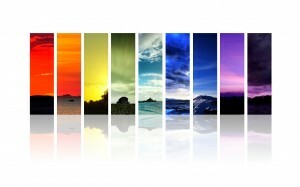 It’s the big picture! The pre market quotes and futures on Finviz are also color-coded, which makes it very easy (at a glance) to get a feel for where the market indices and different asset classes are heading. This way you can instantly get a feel for if the market is going to collapse or push higher at the open – or if there are any other red flags you need to be aware of before the market starts trading. If you’re just looking for a quick pre market quote the easiest way is to use Google Finance. You can just type in the stock ticker you are interested in, and if you do it during pre market trading you can usually get a pre-market quote. The pre market quote will be below the main Google Finance quote. This quote obviously isn’t perfect and doesn’t show you the volume, but you can get a feeling for where your stocks will open. The best best way get pre market quotes for your securities and companies of interest is simply to log into your brokerage platform. Not only do most online brokerage platforms have pre market trading, but you can also see more in-depth pre market quotes, including the bids, asks and volume. This is probably your best bet for getting pre market stock quotes if you are looking to trade stocks right at the opening bell. If you’re looking for pre market quotes but you can’t be at your trading station then there are some great mobile apps you can use. Having access to pre market quotes on your cellphone makes it very easy to monitor the positions in your stock portfolio, even if you’re on the go. So what’s the best mobile app for free pre market quotes? The CNBC app has pre market quotes for all of the global stock markets and major asset classes. The app also allows you to make watch-lists of stocks that you like which is a very handy feature. When the pre-market is open you can click on any stock in your watchlist (or look up any quote) and see the pre market quote including volume. This is really helpful in seeing the strength of the pre market price change and if it’s something you should investigate further. Make sense? Having access to pre market quotes can make your life as an investor a little less volatile. It’s nice to know which way your stocks are leaning before the market opens so that you can review and refine your trading system. So please review the sources of pre market quotes above, and if you have any other places you like to get pre market quotes let me know in the comments below, okay? This entry was posted in Stock Ideas and tagged pre market quote, pre market quotes on December 20, 2013 by Jworthy. Which option looks best to you? The following stock options trading information and resources can help you get acquainted with stock option trading, as well as find more advanced strategies to improve your option trading returns. Option trading definitions are important to understand. These are the basics of stock option trading information and you may want to study some of the theory behind option trading before you invest any of your own money. Once you’re a little more familiar with the terminology, you can start to learn how to put stock option trading information into practice. 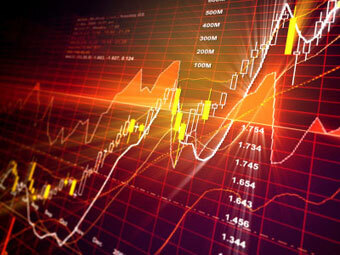 Investopedia has fantastic introductory stock option trading information resources for anyone looking to get up to speed with the basics of option trading. You can learn how options are priced, the difference between puts and calls, and what an option chain is. Investopedia puts a nice practical spin on the information, so you If you’re just curious about option trading information, check out their Basic Stock Option Trading Information. The best stock option trading blog is The Option Addict. The author of this blog is a professional option trader who shares his stock option trading information with you on his blog. The thing that I really like about the information at this stock option trading blog is that the ideas are very actionable. The trading ideas from the blog are ones you can easily follow along with – and since they are often short dated options you don’t need a ton of money to play along at home. So there you have it! Now you know my favorite sources of stock option trading information. And while trading stock options can be incredibly profitable, I really encourage you to play it safe and definitely get some practice before trying any of the options trading strategies you come across. And By The Way: If you’re still looking for more ideas for investment analysis, I really encourage you to sign up to the free email updates and analysis below. This entry was posted in Stock Ideas and tagged stock option trading information on December 19, 2013 by Jworthy. Read this blog post to learn how to use both operating margin and profit margin when you’re analyzing the shares of stock for investment. Luckily the difference between operating margin and profit margin is easy to grasp. I’ll start by going over the definitions of each metric, and then show you how to use profit margin and operating margin together in action. Operating Margin is a percentage measure of how much the company is earning on its revenues. So if a company has an operating margin of 10%, it is earning 10 cents (before taxes and interest) on every dollar of sales. Over time, operating margin can show how a company is dealing with the cost of selling more goods. A steadily improving operating margin might indicate a management team that is conscious of controlling sales expenses. On the other hand, deteriorating operating margins could be an early warning sign to deeper structural problems. If you’re still curious about it, you can read this blog post about what makes a good operating margin to learn more. Net Profit Margin is a percentage measure of how much money your business is taking home on every dollar of revenue. Net profit is the best one-number look at how effectively a business is making money. To calculate net profit margin: Divide the profit your company makes by the sales. High profit margin business may trade at higher earnings multiples, but it may also indicate a strong competitive advantage. Companies with high net profits margins are always worth exploring further. Just like operating margin, net profit margin is best viewed in terms of trends over time, investors can grow their revenues most when looking at changes in profit margin over time. By following along with net profit margins (both in looking at quarterly reports and in listening to management’s commentary on these reports) you can really keep your finger on the pulse of the business. You’re likely to anticipates palpitations and stutters ahead of other investors. If there is a big difference in the operating margin and the profit margin you should probably investigate why. It may just be a capital intensive business. But it pays to know. Keep an eye on how these margins fluctuate relatively to each other over time. Does that make sense? Drop any questions in the comments below. Take some time calculating these margins on your favourite companies and compare them to industry peers. Digging through the differences between operating margins and profit margins is always interesting so I hope this post has helped you understand the difference between them. This entry was posted in Stock Ideas and tagged operating margin, profit margin on December 18, 2013 by Jworthy. Compounding an Investment is the key to earning a high return. Compounding can also generate a lot of passive portfolio income. And sure, we’re taught about the value of compounding investments at a young age. But nobody really talks about the different ways you can actively apply compounding to improve your investing returns. In this short blog post we’ll look at how you can compound an investment. I’ll also share with you some ideas I have on how to compound your investments more actively so you can improve the returns you’re seeing from your stock portfolio. Compounding an investment is pretty simple math. When you have an investment, you expect to earn a percentage on your invested capital. So as an example, if you invest $10,000 and get a 10% return, your capital gain would be $1,000. Simple, right? Now, compounding comes into effect when you let the $1,000 of investment income continue to earn income for you. 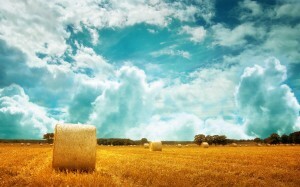 Any percentage return you earn next year on the interest from last year, is compound interest. Does that make sense? If you want to experiment a little more with the basics of compounding, I suggest you check out this compound interest calculator. It’s really robust and let’s you experiment with the different way you can grow your savings. A little experimentation here can really illustrate the value of compounding your investment. What if there was a better way to compound your investments? What if you could actively compound your investments every quarter, month or week? Would that be interesting to you? First of all, even active compounding takes time for you to reap big investment rewards. So active compounding is still predicated on owning great companies at fair prices (which is what most fundamental buy and hold investors should aspire to anyways). But the key difference in active compounding is that you don’t just forget about the investments in your portfolio and keep reinvesting the dividends (as traditional compounding wisdom dictates). Since you are only focusing on stocks you like long term for fundamental reasons, you don’t have to be perfect. You can hold your positions if they go against you the same way a long term investor would. But when you re-buy companies at lower prices you actively compound your gains. And I guess if stock picking isn’t your thing you could even practice active compounding of your investments using ETFs like the SPY. You would have to maintain a long bias, where something like 50% of your portfolio would always be invested as a long term buy and hold investor, but then you could also use the other 50% of your portfolio to compound actively. Does that make sense? Active compounding of your investments doesn’t have to be rocket science. If you just look a little harder than most to apply the magic of compound investing you can really improve your stock portfolio performance. Sound good? And By the Way: If you’re looking for more information on how to compound your investments, then sign up using the form below. I’ll send you a free copy of my mini-ebook “The Intelligent Swing Trader” which explains in much more detail how I actively try to compound my investments. So check it out! What do you have to lose? This entry was posted in Stock Ideas and tagged compounding your investments on December 18, 2013 by Jworthy.